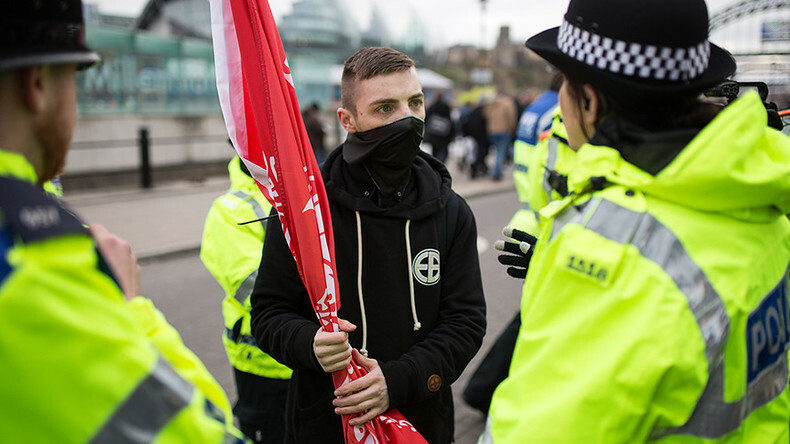 Police arrest three men, a woman and a 17-year-old boy on suspicion of being members of banned neo-Nazi group National Action. Five people have been arrested on suspicion of terrorism offences over their suspected membership of the banned far-right National Action group. West Midlands Police said it had detained three men, a woman and a 17-year-old boy on Wednesday, and was carrying out further raids in connection with the investigation. The force said in a statement: “All five are being held at a police station in the West Midlands. “The arrests were carried out by West Midlands Counter Terrorism Unit in conjunction with CTP North East and East Midlands CTIU. “A number of properties are being searched in connection with the arrests. Being a member of a proscribed group is an offence under section 11 o the Terrorism Act. National Action was outlawed in December 2016.